This year, only one new term popped out of CES — but there’s plenty venturing out from the world of Wi-Fi. 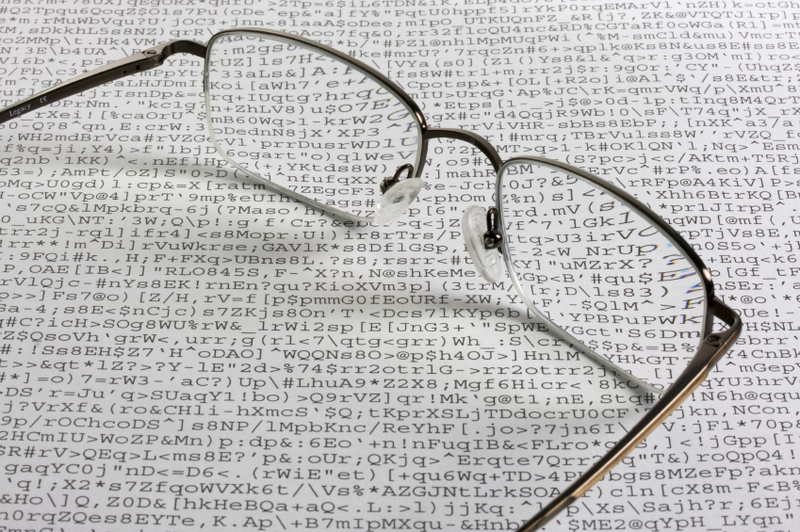 This week’s translation is a round-up of weird, overworked, and new tech lingo. At CES, “ten finger touch” talk involved tablets the size of a coffee table. The latest in overworked lingo: “Curation.” This one seems to show up as a classier twist on “aggregation.” Think of it in terms of news websites (industrial and mainstream), which populate themselves with summaries of stories researched and written by other news sites — often without attribution. Here’s why at some point we’ll need SONs: Because WiFi spectrum is largely unlicensed, meaning unmanaged, and more and more of our dumb stuff will want to jump onto it, to get smart. One Zigbee participant (and heavily Kickstarter-funded) outfit, “Smart Things,” characterized today’s times as the third phase of the Internet. Phase one was knowledge/search. Phase two was social. Now, we’re entering the physical Internet, which controls our formerly dumb stuff. But back to “SON,” a cousin of machine-to-machine (“M2M”) computing and near field communications (“NFC”). It exists to coordinate between multiple radios, so that, say, your Skype call doesn’t get stepped on by your smart house. Because it turns out that Zigbee-based gear, WiFi, and lots of other stuff runs in the 2.4 GHz range. SON keeps WiFi’s many occupants clear of each other. For me, any mention of “self organizing” is alluring. Like maybe a physical Internet with sensors to self-organize closets and junk drawers. That’d be good. The Consumer Electronics Show is in full swing at this writing, and as a person who arrives early and leaves late, here’s a few observations. One vendor – HapiLabs (where the “hapi” is pronounced like the emotion) staved off crowds seeking a peek at its “smart fork.” It vibrates if you eat too quickly. 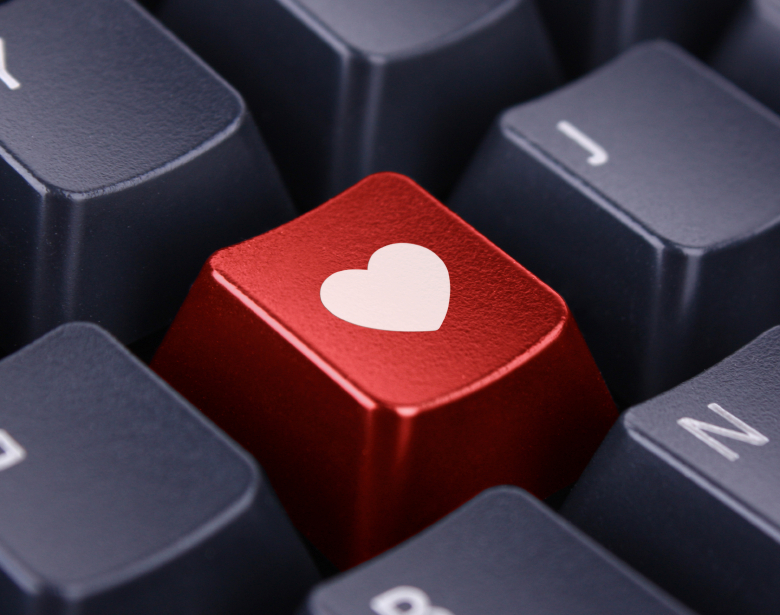 Yes there’s a companion app for your smartphone…. 2. Everyone, even the people who make the tumbler locks on your doors, wants to secure and automate your home. It’s another manifestation of advanced fragmentation: The alarm guys are here with home automation mechanisms, as are the tumbler lock guys, and the in-home wiring guys. And the cable guys, for that matter. 3. “The Internet of Things” is alive and well at CES. By now you’ve perhaps given some thought to how many things (computers, tablets, phones) in your life need an Internet connection. Consensus estimation is 10, per household, by 2015; most hard-core tech-enthusiasts are easily in the 30s right now. One new vendor – “Smart Things” – aims to use the protocols of the Zigbee Alliance to make our dumb things (lights, thermostats, garage doors, windows) smart. Probably the big standout, though, was the next chapter in HD — “Ultra HD,” the re-brand of “4K” — there are 8K and 16K versions lined up behind it. If you remember the first you saw HDTV, and thought “wow, this is better than my eyes can see” – Ultra HD is better than that. Stunning visuals. It’s a long way off, though, much to the chagrin of the CE vendors, who seek the next HD slam dunk. Why: Content doesn’t yet exist that’s high enough in resolution to exercise the capabilities of the $20,000 screens. Forget about “down-rez” (down-sizing resolution) issues. With Ultra-HD, “up-rez” tends to pop up in conversations – how to add bits to existing, Blu-Ray-grade content, to make it rich enough for the screens. And: Cameras and editing gear doesn’t yet exist; the bandwidth to carry it is formidable; it’s too big for HDMI cables … and that’s the short list. Testing out the new Netgear NeoTV. Includes footage of user interface plus Netflix and TED apps. Initial setup and user interface of the Sony SMP-N200 Streaming Media Player. It’s been a good year for Roku, which is officially the first OTT player to get the TWC TV channel. 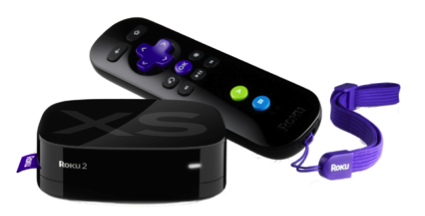 This allows Time Warner Cable subscribers to view around 300 live channels and program their DVR from a Roku, and could clearly pave the way for Roku and other devices working as additional PayTV sources in the home. Naturally, the next question is: When do we get an Xfinity TV app on Roku? Yes, Comcast, we’re looking at you. In other news, Roku signed on a whole lot of new TV manufacturers to package its Streaming Stick with their 2013 Smart TVs. 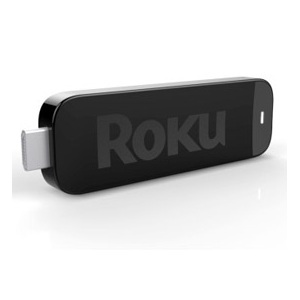 The Roku Streaming Stick is sold on its own too, however unlike other Roku devices the Streaming Stick won’t work with all HDTVs – only those with MHL-compatible HDMI ports. MHL (Mobile High-Definition Link) is a new industry standard for connecting mobile devices to HD displays — in essence the technology allows the mobile device to receive a charge while playing audio or video through the display. We saw a handful of TVs at last year’s CES touting MHL, but compared to HDMI, it’s still a very small subset of digital HDTVs that use it. 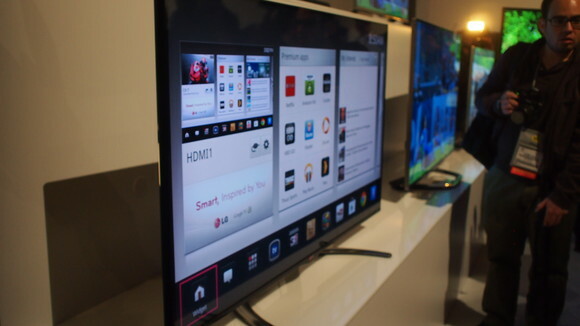 As we saw at this year’s CES, many new TVs are adopting the MHL standard. But it remains to be seen how fast these MHL-capable TVs gain market share (or don’t.) People who purchased HD TVs within the last 5 years might not be in a hurry to replace them. And though virtually everything at CES is billed as a “game changer” (is anyone else sick of that phrase yet?) it’s unlikely that MHL or massively expensive 4K displays will inspire the same adoption rate that we saw with HDTVs. So it’s a good thing Roku is still in the business of making its little hockey puck-shaped streaming players, too. As for the final two new GoogleTV OEMs, maybe we’ll see an announcement in the coming weeks, or (more likely) they’ll never see the light of day. 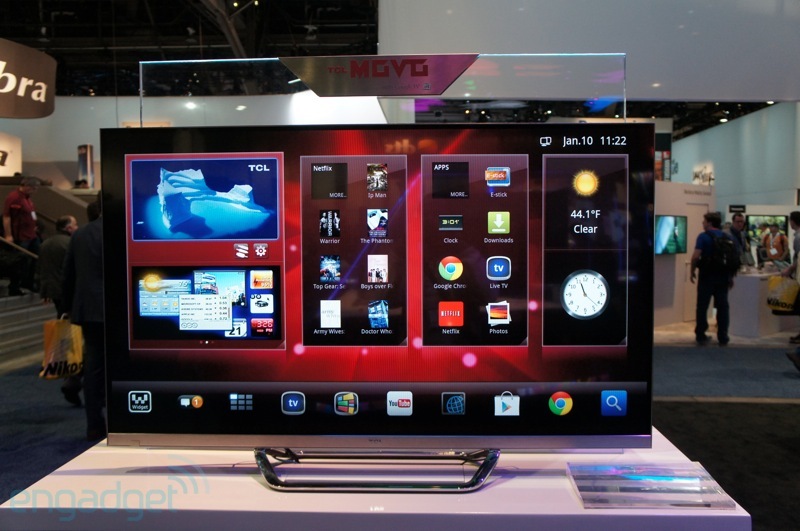 Remember last year, when Samsung was supposedly going to launch a Google TV device at CES? Or when Eric Schmidt said that “By the summer of 2012, the majority of the televisions you see in stores will have Google TV embedded”? 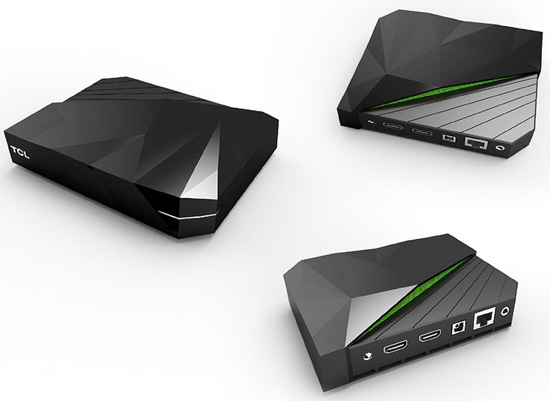 The hardware for this new Google TV “Buddy Box” (Google’s term for a standalone set-top box) looks like it could be the stodgy, straight-laced cousin to the Boxee Box. The Asus Qube has the distinction of being the first “Buddy Box” to run Google TV 3.0, meaning it will run the new software that was announced back in November (and it’s jumped in the update queue ahead of our 2012 Sony NSZ-GS7 – more on that later.) 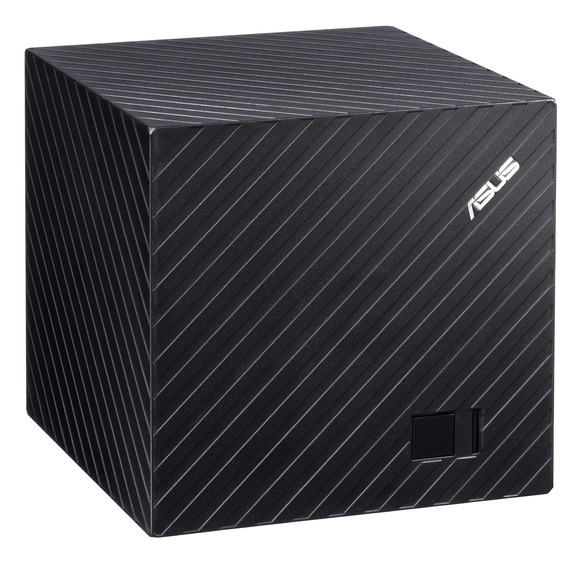 The Qube also comes bundled with 50GB of free cloud storage through Asus’s WebStorage service. 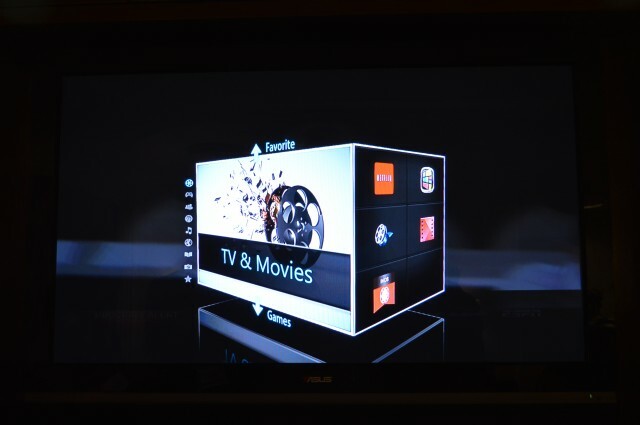 Asus’s take on the Google TV software mimics their hardware, with a custom cube-themed UI that flips to show favorites as you scroll through categories. TCL introduced MoVo for Google TV as both a standalone box and a smart TV for 2013, but there’s no word yet on pricing or availability. One thing we do know is that the MoVo devices have TCL’s Personal Box Office technology, which uses facial recognition to figure out which family members are watching and provide a personalized experience. This’ll be an interesting one to test in the lab for sure. 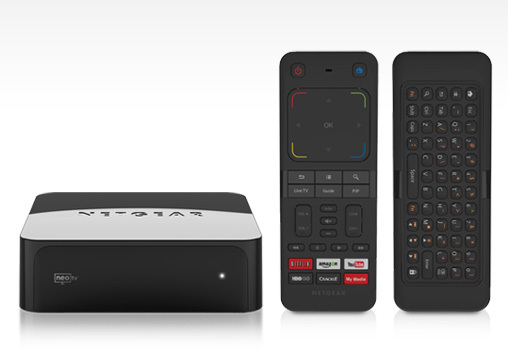 Netgear, maker of the NeoTV and NeoTV Max devices in the lab, is branching out to include a Google TV device this year. The hardware looks just like our NeoTV Max, and the remote control is similar in that it includes 6 (SIX!) dedicated buttons for services like Netflix, Crackle, and YouTube. I’ve written about why I think this is an absurd idea before, but it bears repeating: the services that are available on these boxes change from time to time. Who knows if Netflix, or Crackle, will have the same name or even exist 10 years from now? And if accessing Netflix is complicated enough that you have to add a dedicated button to the remote control, it’s probably time to rethink your UI. Hisense, like TCL, is selling both a smart TV and a standalone “Buddy Box” for its Google TV debut. 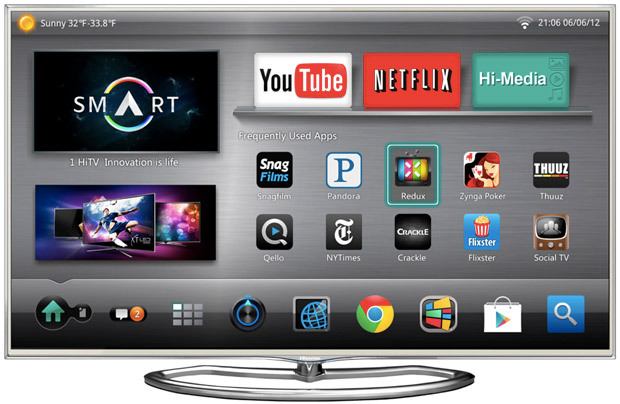 No word on pricing or release dates yet, but here’s a first look at the Hisense XT780 Google TV. 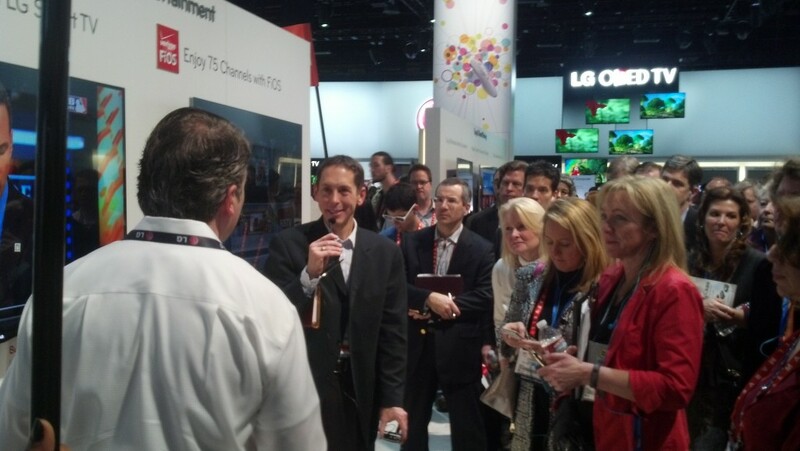 LG plans to launch seven new smart TVs with Google TV this year, including the top-of-the-line 55-inch GA7900 model. Pricing and launch dates haven’t been firmed up yet, but the GA7900 is said to be in the range of LG’s other Google TVs – between $1,499 and $1,599. When asked during CES how sales are going with its existing GoogleTVs, and if sales figures inspired the new units, a spokesman paused (for a fairly long time), then said “they’re trending well.” Whatever that means. 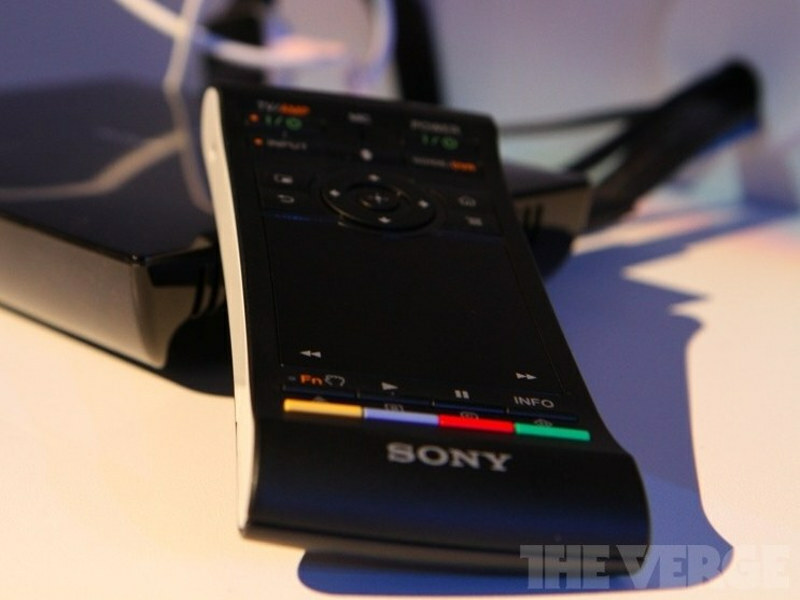 Sony didn’t announce any new Google TV hardware at CES this year, but it does have an updated remote control for last year’s NSZ-GS7. This remote looks just like the one we have in the lab, only they’ve added a microphone to support the new voice search feature. And in keeping with the other Sony hardware in the lab, they’ve given this remote an equally creative name: the NSG-MR7U. Hot! No word on pricing or a release date yet, but hopefully it will arrive around the same time the Google TV 3.0 update finally rolls out to our NSZ-GS7. Like Sony, Vizio didn’t show off any new hardware at CES. However, it did announce that existing Vizio Costar units would be receiving the Google TV 3.0 update within “just a few weeks.” Based on our wait with the Sony NSZ-GS7, which is ahead of the Costar in the update queue, I’d estimate “just a few weeks” to mean “sometime in October.” Poor Vizio Costar. And here’s where I go on a little rant about fragmentation. Instead, a new flagship phone was released within the month, and I was told to expect my 4.0 update “sometime in early 2012.” The update finally arrived in mid-July, bringing with it a few features I rarely use, plus shorter battery life and general bugginess. Obviously cell phone carriers add another layer of complexity that we don’t see with OTT devices, but my point is this: Google TV offers a choice between an ever-changing variety of hardware manufacturers and customized UIs that you don’t get with say, AppleTV, but there’s a downside. Our 2010 Apple TV got its big update the same day the 2011 model was announced. With Google TV, the latest and greatest devices will always get bumped to the head of the update line, while others wait for months or never get the update at all. So there’s a big risk in shelling out $1,500 for today’s top-of-the-line Google TV, because it’s likely to get bumped to the back of the update queue this time next year. And you never know which Google TV device will be the next to go the way of the Logitech Revue, but for the time being, our money’s on the Vizio Costar. DOCSIS 3.1 is a doozy — both in terms of what it will do for broadband capacity, and the sheer density of the tech talk that surrounds it. First off: DOCSIS 3.1 matters and was devised because of the billowing consumer demand for broadband usage — 50% and higher compound growth, since about 2009. Again: In the history of consumable goods, nothing has grown at a sustained rate of 50%, year over year. DOCSIS 3.1 basics: When complete (2013) and in market (2014? ), it will expand the industry’s downstream and upstream carrying capacity for digital, IP traffic by 50%. “Half as much again” is always a big deal, especially for that spectrally anemic upstream signal path. Also impressive about DOCSIS 3.1: It could enable connection speeds of 10 Gigabits per second (Gbps.) Note: Don’t inhale too deeply on this one. It’s 10 Gbps if and only if all other channels on a system are empty. No analog, no SD or HD video, no broadband, no voice. Let’s get back to the tech-talk of 3.1. What makes for these enormous gains in IP capacity and speed is a new (to cable) form of modulation called “OFDM” (see above.) OFDM, when coupled with a new (to cable) form of forward error correction (LDPC), brings the 50% efficiency gains. OFDM is widely used by mobile carriers, because they’re already pretty bandwidth-challenged (ship any video from your phone lately?). It works by chopping the typical 6 MHz digital cable channel into smaller “subcarriers,” in the lingo. That’s good for both transmission and dealing with impairments. That’s the basics of DOCSIS 3.1 — why it matters, and how to talk about it with aplomb. Watch for it to be a major undercurrent of the 2013 cable-tech scene.